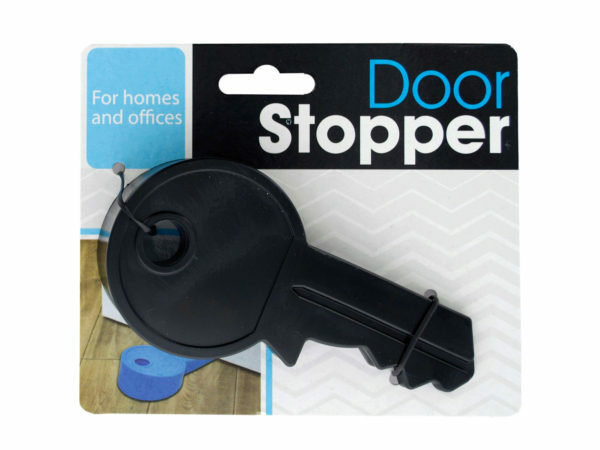 Great for home and office, this Key Shape Door Stopper features a durable plastic stopper in a wedge key shape. Stopper is simple to use, easy to remove and non-marking. Measures approximately 5" long x 2.5" wide at the widest point. Comes packaged to a tie card.